A Medium Size, Very Well Made, Dalton Drill That Exhibits Surface Sheen And Stone Aging Coloration Patina, Aged Mineral Deposits, Correct Rolled Basal Stem Dulling, Correct Blade Sharpening Reduction, Correct Early Style Of Flaking, Correct Material And Manufacture For The Area Found. Found By Billy Dixon, Near Lake O' The Pines. 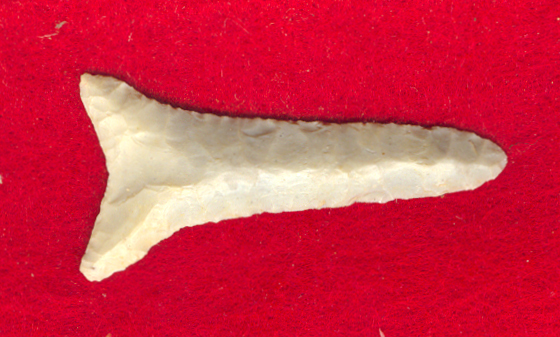 Drills Are Made On Two Fashions, From Scratch And From Sharpened Down Points Such As This Example. This Is A Well Made, Nice Artifact!